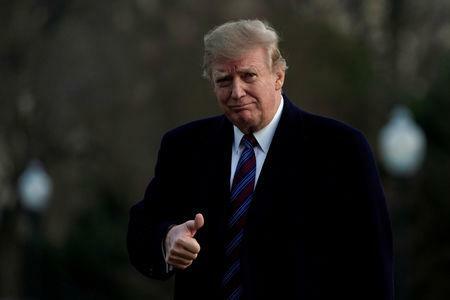 WASHINGTON (Reuters) - President Donald Trump said on Friday that U.S. diplomats had a "very productive meeting" with North Korean officials, and he announced his summit later this month with North Korean leader Kim Jong Un would be held in Vietnam's capital, Hanoi. In their talks in Pyongyang, from Wednesday to Friday, Biegun and Kim Hyok Chol "discussed advancing President Trump and Chairman Kim's Singapore summit commitments of complete denuclearisation, transforming U.S.-DPRK relations, and building a lasting peace on the Korean Peninsula," the State Department said. On Saturday, Biegun said his talks in North Korea had been productive and Trump looked forward very much to his meeting with Kim in Hanoi. 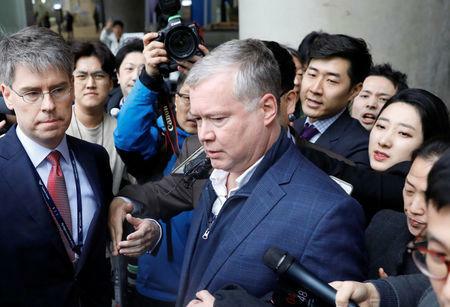 "We have some hard work to do with the DPRK between now and then," Biegun said in South Korea before a meeting with its foreign minister, Kang Kyung-wha. "I am confident that if both sides stay committed, we can make real progress." The Singapore summit yielded a vague commitment by Kim to work toward the denuclearisation of the Korean peninsula, where U.S. troops have been stationed since the Korean War. While in the U.S. view North Korea has yet to take concrete steps to give up its nuclear weapons, it complains that Washington has done little to reciprocate for its freezing of nuclear and missile testing and dismantling of some facilities.